As an absolute household essential, our trusty laundry companion helps keep stains and splotches at bay, leaving us looking fresh and chic at all times. Here at Fiyo.co.uk, we know the last thing you want is for your machine to stop working, especially with the daunting bills that come with getting it fixed. However, if your washing machine has failed, it's important to try and diagnose the issues yourself before going running to an electricion or plumber. 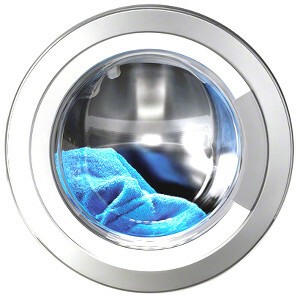 In most cases, many washing machine problems arise from overdue or bad maintenance, but can sometimes be easily fixed. At Fiyo.co.uk, we have a wide range of parts and accessories that could help you give your machine some TLC and extend its life. Stocking popular brands such as Samsung, AEG, Indesit, and Hotpoint, among others, we know how vital your washing machine is to your household's day-to-day schedule. With school and work uniforms needing to be washed, fresh towels needing to be ready for the family, and the constant stream of bedding, your washing machine needs to be up and running fast. This is why we try to help as much as possible, so if you place your order today before 7.30pm, then we will try and make sure your parts are dispatched the same day. Which Washing Machine Do You Have? You will need the model (type) number to find the right parts for your machine. This model number consists of a combination of letters and numbers. It varies by appliance where you can find the type sticker or place, and sometimes it can be hidden in hard to reach places. With most washing machines however, it is often located on the inner or side door, or on the back of the unit. Once you have found this number, enter it into the left column search and you will then be directed to a results page for parts compatible only with your appliance.